When I first saw the pictures of the mothers who had MACs (Mother Assisted Births) this week, I knew it was going to be said- that any kind of gentling of a cesarean is only going to increase the number of cesarean births as mothers figure MACs are better than nuthin’ and they stop fighting for a VBAC. As a mother with multiple cesareans in my birth history who stopped having children partly because of the increased risks additional surgery posed to my health, I think that this is an important development for women who opt to have or who must have a cesarean. The very act of the mother reaching down to lift her child from her own womb refocuses the surgeons and nurses on the mother’s primary place in her birth. She is no longer a passive object, but becomes an active subject in her child’s birth. She is no longer a vessel from which the baby must be removed, she is the one birthing the child. This *can* be a powerful thing for some women. For women who want this choice, for women who have no access to VBAC they consider reasonably safe, for women who don’t want or who are unable to have a vaginal birth, this could mean the difference between feeling victimized and feeling victorious. Leaving a cesarean birth feeling respected and powerful is a better outcome than feeling defeated and unheard. Of course, there are many things happening all at once in a vaginal birth that don’t happen in the same way (or sometimes at all) in a cesarean birth- the hormonal cocktail, the exposure to vaginal flora, the physiologic processes of the baby and mother, the social and psychological experience of the first time the mother/parents/baby behold one another… These can be *simulated* in a cesarean birth, but they can’t be perfectly replicated. MAC is not a replacement for a normal, physiologic birth- I don’t think the existence of mother assisted cesareans somehow undermines VBAC or vaginal births. Vaginal birth is the expected, healthy norm for our species- except when it isn’t for either physical or psychological reasons, like complete placental previa, or sexual abuse in the mother’s past that makes a vaginal birth feel unacceptably unsafe for her. And MAC doesn’t remove the real, serious medical complications associated with every additional cesarean. What Mother Assisted Cesareans do is allow women to have an active role in their child’s birth. Many women feel this is a positive development in a surgery they have historically been strapped down for, they have been unable to see of touch their child after, through which they have been unconscious. For women who want this option, MAC allows the woman dignity of action- she stops handing over (pun intended) her biologic role of the ‘She Who Lifts the Child’ and reclaims this from a masked surgeon. 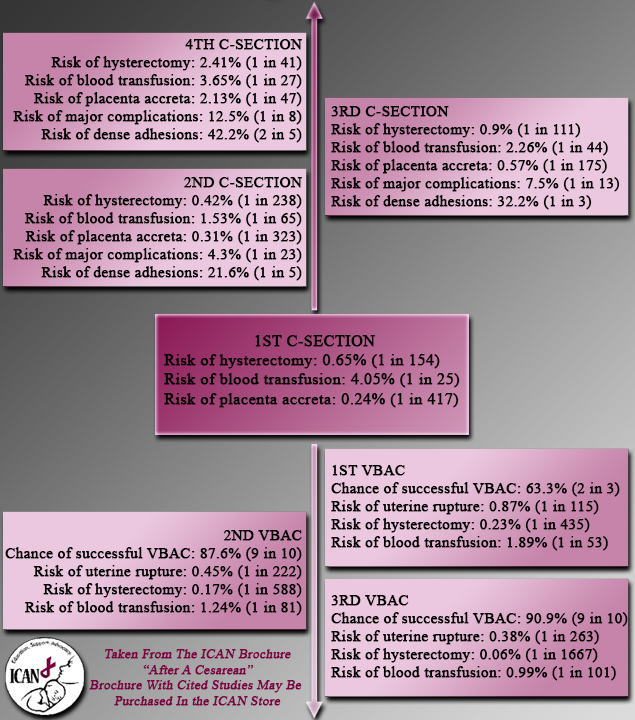 Does MAC make cesareans safer? No. Do they make vaginal births less important/normal? No. They do make cesareans a little less cold for the women who have one. This entry was posted on January 23, 2015 by hearthsidematernityservices in Best Birth Practices, Cesarean, Health and tagged Gentle Cesarean, Mother Assisted Cesarean.